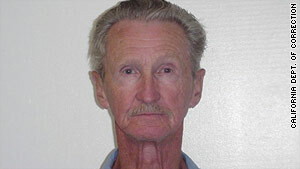 Cop-killer Gregory Powell has been in a California prison for 50 years. New York, CNN -- For the 11th time, a California board has voted to deny parole to Gregory Powell, the infamous "Onion Field" cop killer whose 1963 crime was chronicled in Joseph Wambaugh's best-selling book. The decision, which was announced Wednesday night, was praised by the Los Angeles Police Protective League. "We greatly appreciate that the Parole Board weighed the details of the egregious crime committed by Powell and decided to keep him behind bars," league President Paul M. Weber said in a written statement. Powell, 76, is among the longest- serving inmates in California's prison system, a department of corrections spokesperson told CNN. It has been nearly 47 years since Powell and his accomplice, Jimmy Lee Smith, kidnapped and murdered Los Angeles Police Officer Ian Campbell. On the night of March 9, 1963, Powell and Smith were driving around L.A. looking for a liquor store to rob. Officer Campbell and his partner, Officer Karl Hettinger, pulled the two thieves over in a routine stop. Powell, who was ordered out of the car, pointed a gun at Campbell's head. He and Smith disarmed both officers, took them hostage, and drove to a remote onion field in Bakersfield. The officers were forced out of the car and ordered to stand with their hands above their heads. Powell said to them, "We told you we were going to let you guys go, but have you ever heard of the Little Lindbergh Law?" "Yes," Campbell replied. Powell then shot him to death. Hettinger escaped but the murder of his partner haunted him for the rest of his life. Powell and Smith were sentenced to death in November 1963. Their sentences were commuted to life in prison with the possibility of parole in the early 1970s when the death penalty was declared unconstitutional. Smith died at a California detention center in 2007. A statement from the slain officer's daughter, Valerie Campbell Moniz, who was 3 when her father was killed, was read at Wednesday's parole hearing. "There has not been one day that has passed that I have not thought about and dreamed about my dad. Growing up without him has been devastating, but what torments me is the manner in which my father died," Moniz wrote. Speaking of Powell, she said, "He willfully shot my father with a cold and callous heart. He had no regard for human life. His act was even more despicable because he showed no compassion or mercy. To this day he has shown no regret for murdering my dad. "Gregory Powell must spend the rest of his life in prison. To release him dishonors the memory of my father, law enforcement, and the Los Angeles Police Department. To release him only sends the message to criminals that the taking of a human life, especially that of a law enforcement officer, is acceptable." Powell is housed at California Men's Colony, a minimum and medium security detention center. A department of corrections spokesperson said he has had several rules violations. He can seek parole again in three years. The Little Lindbergh Law makes a kidnapping within the state a capital offense even if the victim is unharmed. It followed a federal law, nicknamed the Lindbergh Law, that made taking a kidnapped person across state lines a federal crime. That law was passed after the kidnapping and murder of the young son of Charles Lindbergh in 1932.